A country that has the 25th largest economy of the world in terms of purchasing power should have very prosperous citizens.. no? Nope, in Pakistan one in four Pakistani lives in multidimensional poverty. Add to that the very low late of literacy due to privatisation of education multiplied by a very high birth rate and you have the recipe of an extreme class difference…the extent of which is unimaginable. The solution lies in all of us, but despite our best intentions, we often lack a trustworthy platform to execute them. 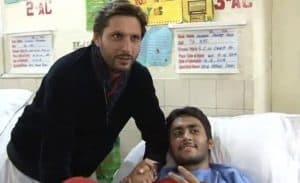 After the recent rage of Shahid Afridi Foundation (SAF) as advertised on TV, we did a little digging to see what it’s all about. The foundation also operates a number of schools to provide education to poverty stricken children who would otherwise have no access to books. Maybe it’s because he is a father himself, but the majority of beneficiaries of SAF are impoverished kids. 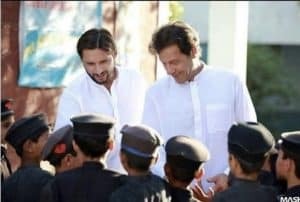 There are many famous names who have collaborated with Shahid Afridi in his various charitable projects. I don’t think there could be a better use of one’s hard earned name and fame than this. This Ramzan in the naiki segment, he appears in Shan e Ramzan to encourage people to contribute towards the tragedies that needy people bring on stage there. Pakistan is very big and our needs too many, but if all of us in our small places of privelage decide to make just one life a little better, we can certainly change the current statistics of poverty, just one person at a time. If you find yourself with some extra time and money, visit the website http://shahidafridifoundation.org to see if you can contribute these resources to one platform that is striving to relieve as many sufferings as they can.